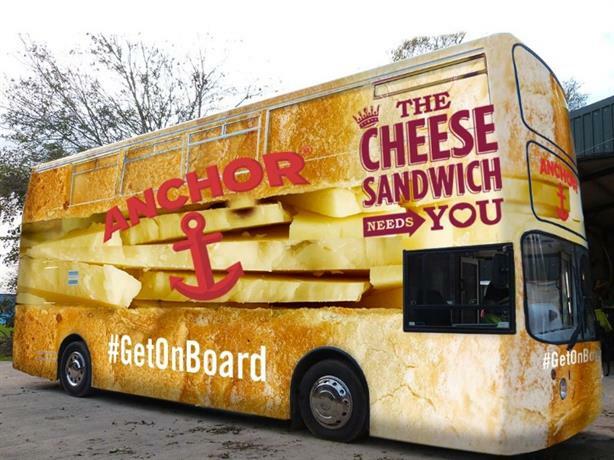 Anchor Cheddar has launched a nationwide campaign in a bid to save the sandwich, supported by 'The Cheese Sandwich Needs You' tour that will visit more than 100 locations. The team will travel on a branded bus equipped with loudspeakers and flags asking the public to join the campaign using the hashtag #getonboard. Cheese sandwiches made with Anchor Cheddar will be handed out to consumers joining in the campaign, which will run until May. The tour will be supported with an on-pack promotion lasting four weeks. It launches at the end of March in major supermarkets and includes the chance to claim a free Anchor Cheddar sandwich tin. Louise Thornton, brand manager at Anchor Cheddar, said: ‘"The cheese sandwich has declined in popularity over the past few years and we are on a mission to bring it back. "The Cheese Sandwich Needs You tour gives us the opportunity to not only reach hundreds of thousands of people across the UK, increasing awareness of the great taste of Anchor Cheddar, but also gives us a talking point that the whole nation can get behind."